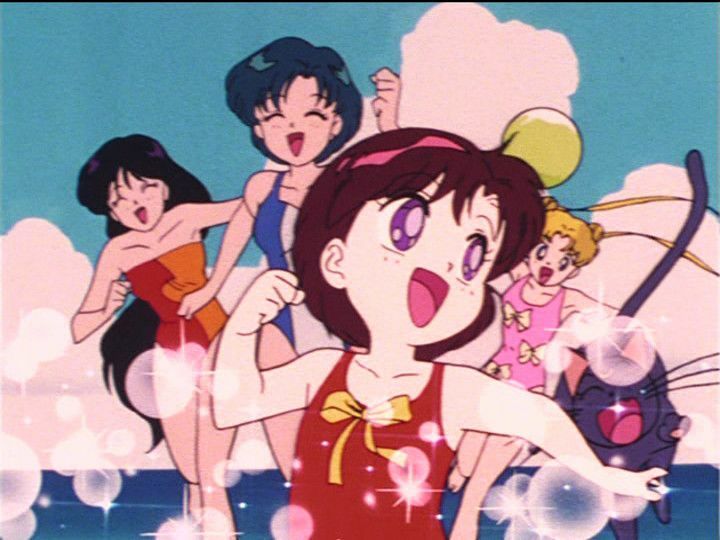 I rewatched Viz Media’s 2015 dub of the original Sailor Moon anime. Luna: USAGI. Pull yourself together and save the world! Rei: USAGI!!! WHY ARE YOU SO INCOMPETENT? YOU’RE A COMPLETE TRAINWRECK. Tuxedo Mask: You can do it! Believe in yourself! Usagi: You’re right, Tuxedo Mask! I CAN do this. Luna: You shouldn’t trust him, Sailor Moon! He could be an enemy! Rei: Yeah, and how come you listen to that MAN instead of accepting advice from WOMEN who SUPPORT you? Me: Does that actually work!? Me: Huh…I miss the accent. Me: Umino’s kind of annoying, but his voice work is excellent. Me: This title is PROBLEMATIC. Get it together, JAPAN. Me: How are you getting WORSE? Me: Why does Jadeite sound like Sergeant Frog? Me: OH, BECAUSE HE IS SERGEANT FROG. Important: do I like Jadeite now? Me: BUT WHY IS SHINGO VOICED BY A GROWN MAN? Usagi: So this is jazz…I didn’t think I’d like it. You’re so mature, Naru! Naru: Yep! If you have any questions about it, just ask me and I can explain it to you. Me: Aaaaand that sums up my college music program experience. Me: Watching the girls take down a misogynist is mighty satisfying. Tuxedo Mask: I’m here to defeat you, Jadeite! Me: It’s like you didn’t even TRY. Sailor Moon: Oh no, Tuxedo Mask drowned! Tuxedo Mask: It’s nice to know you care! Sailor Moon: Tuxedo Mask! You’re alive! Me: WHY AREN’T YOU WET? Me: I can’t wait for Nephrite to show up. Me: …HE’S VOICED BY A MAN!?!? Me: WHY IS NO ONE REACTING TO THIS? Me: Huh, I didn’t like Rei so much my first time through, but now I kind of like her. Rei: Hey, Mamoru! Want to go on a date? Me: I CHANGED MY MIND. Side character: Did you know our sewing teacher is 34 and STILL unmarried? Usagi: Ami, don’t you want an all-expenses paid wedding reception? Ami: I don’t plan on getting married anytime soon! Ami: My first love is books! Kiijin: Art is an EXPLOSION. 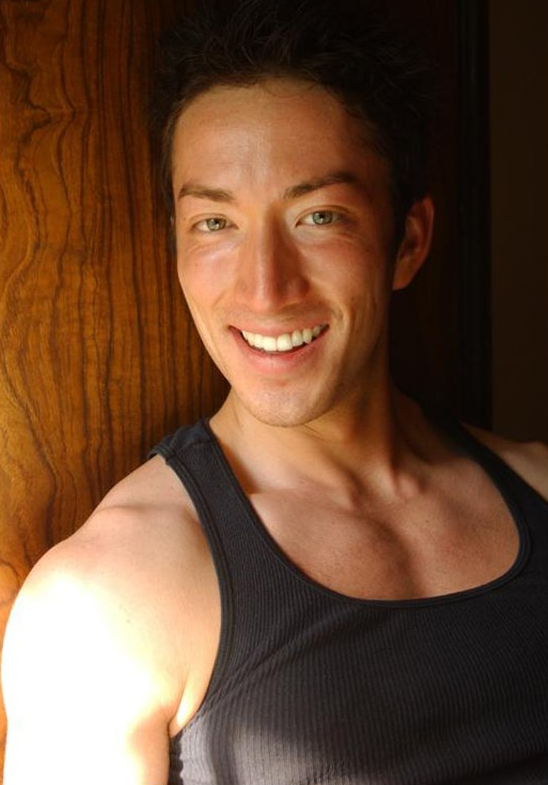 Me: This guy makes Shingo’s voice actor seem like a sensible casting decision. 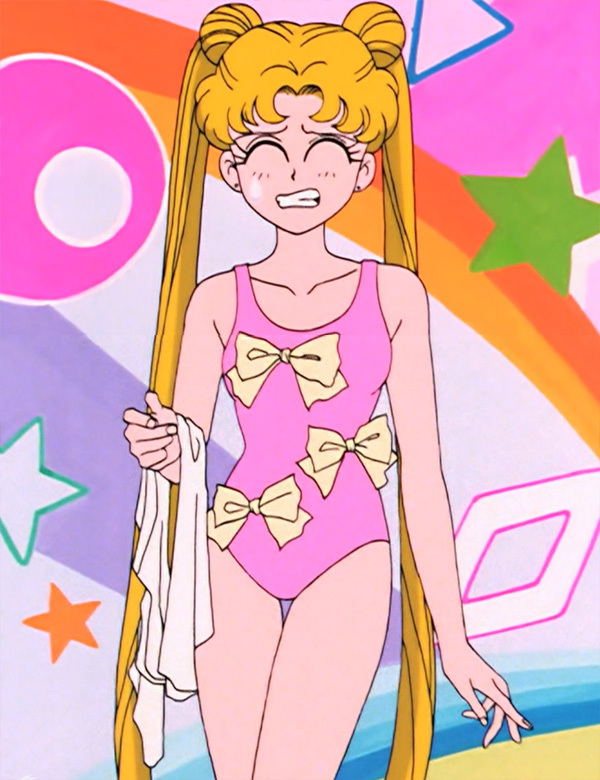 Luna: Usagi, your swimsuit looks stupid. Me: SAYS THE TALKING CAT. Me: I can’t tell if the worst part of this episode is the SENTIENT DOLL or the destruction of Shingo’s clay Sailor Moon figurine. Me: NEVER MIND, SENTIENT DOLL. Me: WHY ARE YOU LYING? 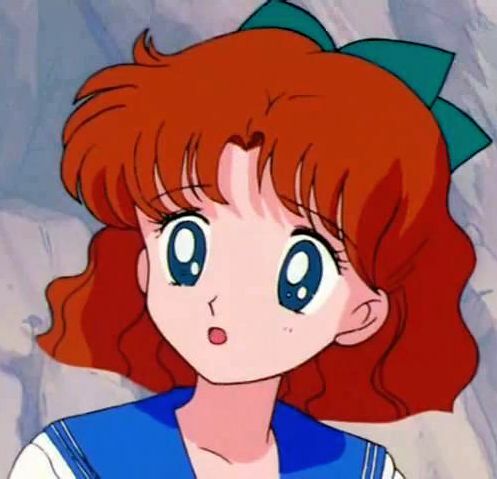 Nephrite: Hm…I wonder if that short, auburn-haired girl is Sailor Moon? ME: Aaaaaand the ship is ruined. Nephrite: *leans seductively on wall* Has anyone ever told you you’re the prettiest girl in your class? Sailor Moon: Hey, that’s not Tuxedo Mask! Nephrite: UNLEASH LEO THE LION! Me: I LOVE this episode!! Me: YES, YES, YES, YES. Sailor Moon: Why do you keep helping me? Sailor Moon: I think you’re in love with me but you’re too shy to tell me. Me: YES YES YES YES. 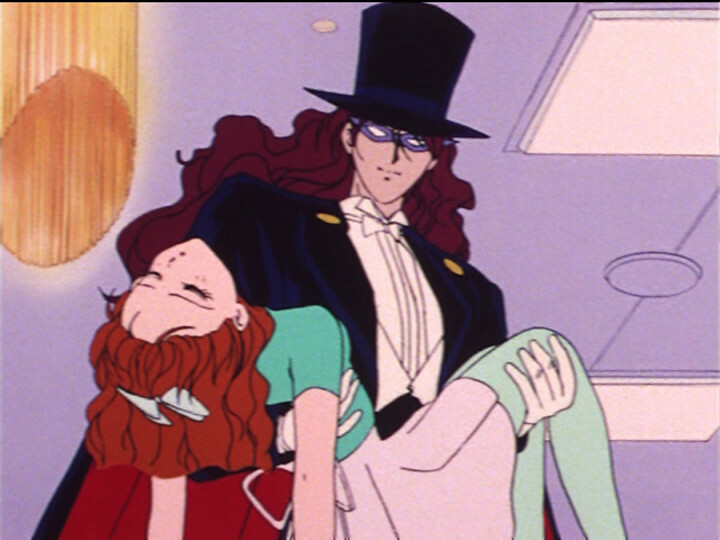 Tuxedo Mask: Honestly, I don’t know why I keep helping you. Me: …WHY DO I LIKE THIS EPISODE? Sailor Mars: Usagi!! I can’t believe you snuck away to flirt with Tuxedo Mask! Sailor Moon: It’s not like that! Me: How was that both dramatic AND condescending? Tuxedo Mask: If there’s one thing I hate, it’s a girl fight. Me: I used to think the anime was mostly filler, but this season hasn’t been so bad. Me: So far, NO one has explained to me why the psychic girl is so small! Sakiko’s father: I’m sorry, Sakiko…you just wanted to be a normal girl. Me: HOW OLD IS SHE, THOUGH? Sakiko’s father: I should have let you be a child. Me: WHY DOES SHE HAVE A CHILD’S BODY AND A WOMAN’S VOICE? Sakiko’s father: I’m sorry I forced you to use your psychic powers. Me: SHE IS THE SMALLEST PERSON WE’VE SEEN ON SCREEN THUS FAR. Me: AM I THE ONLY ONE WHO HAS NOTICED HER SIZE? Me: ALSO, WHY DOES THE FATHER HAVE POINTY EARS? Me: WHAT WAS THE POINT OF THIS EPISODE? Editor: This drawing of Sailor V doesn’t capture her passion! Editor: I’m not getting any of her energy! Hiromi: Sooooo you’re saying you want us to make her sexier? Me: HOW IS THIS STILL RELEVANT? Hiromi: *bursts out of office* KEEP IT DOWN! We’re trying to WORK here! Hiromi: I’m going to KILL OFF SAILOR V! Hiromi: It’s the only way to make true art! Me: YES!!!!! I love this episode!!! So romantic! Me: I FORGOT THEY WERE A COUPLE. Me: …Kunzite is a really unfortunate name, though. Usagi’s dad: WOW, that girl sure is BEAUTIFUL. Usagi’s dad: I wonder if MY daughter will ever be THAT beautiful. Usagi: Wow, I’m soooooo drunk! Me: SHE’S STILL BLACKOUT DRUNK, DUDE. Me: YOU WERE MEAN TO HER THIS WHOLE EPISODE. Me: COULDN’T YOU HAVE WAITED UNTIL SHE WAS SOBER? Me the entire episode: NARU, DON’T, COME BACK. Zoisite: Nephrite is the WORST! Kunzite: *stroking Zoisite’s face* He’s nothing. Me: This is the best. Me: Why does Kunzite sound like Patrick Seitz? The rest of this post is just men in tank tops. Naru: I don’t get it. Does Mr. Sanjoin like me or not? Motoki: Hey, Usagi! I didn’t see you come in! How ’bout I take you out for a cup of coffee? Usagi: Sure! I love coffee! Mamoru: Yeah, coffee sounds great. Me: DID HE JUST INVITE HIMSELF ON THEIR DATE? Me: WHY CAN’T YOU JUST BE IN LOVE? Motoki: It’s probably fine! Just wait until something bad happens! 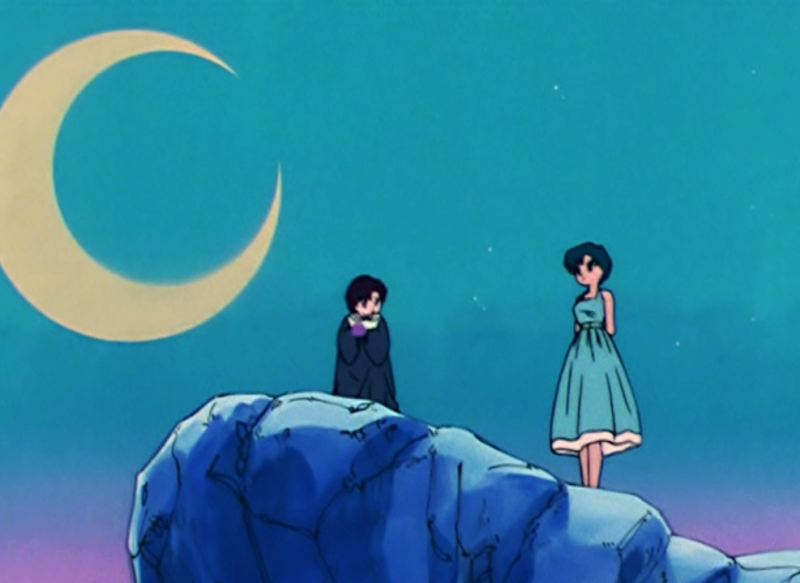 Mamoru: NO WAY, YOU SHOULD TELL HER THE TRUTH. Naru: I WON’T LET YOU HURT MR. SANJOIN. Naru: I’M COMPLETELY IN LOVE WITH HIM. Sailor Moon: No, Naru, he’s a bad person! 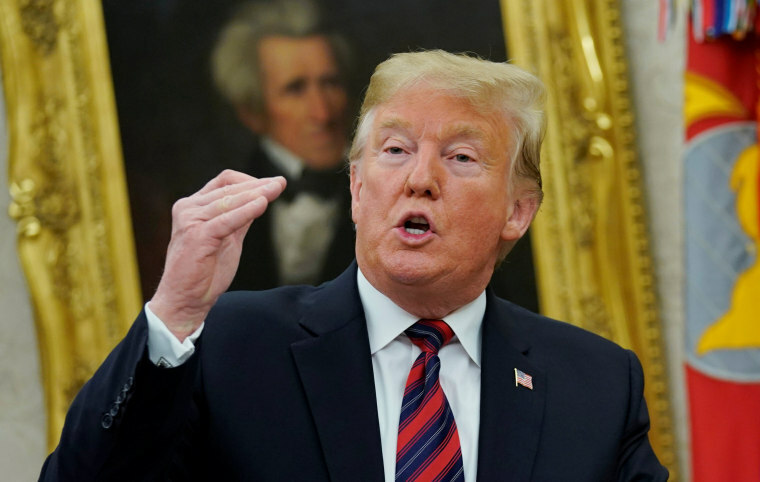 Me: ALSO, HE IS AN ADULT! I’m making my way through the latter half of the season. Usagi and Mamoru are IN LOVE, but he’s EVIL now! And…well, I’ll save it for the next post.